In August 2014, a group of colleagues from Centrica Energy in Windsor visited the University of Brighton’s Sport and Exercise Science Consultancy Unit (SESCU) for an Extreme Altitude Preparation Day. 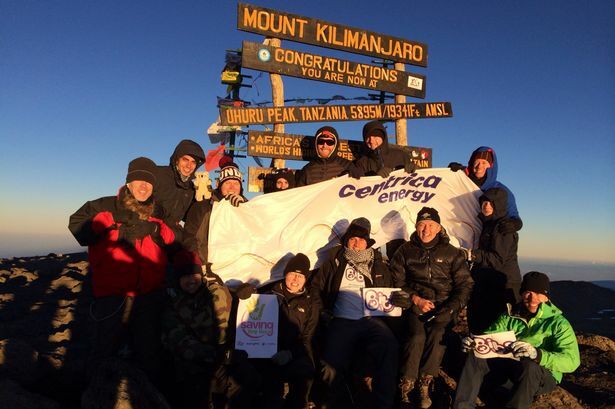 The day was in preparation for the group’s Mount Kilimanjaro challenge in October 2014. During the challenge the team raised £11,736 for Babies in Buscot Support (BIBS). BIBS supports babies and their families in a special care baby unit at the Royal Berkshire Hospital in Reading. The day was run by SESCU staff members Ash Willmott, Karl Stevenson and Dr Neil Maxwell, alongside MSc students Jothan Hibben and Gregor Eichhorn. The group took part in health assessments, team building exercises, psychology mountain mind-set workshops, altitude tolerance screening within the hypoxic chamber, strength and conditioning movement screening and an altitude educational seminar. This also tied in with the Para-Monte charity which has strong connections with EEL as it raises awareness of altitude illnesses. The full team of 13 colleagues successfully summited Mount Kilimanjaro and put into practice the things they had learned in SESCU. One of the team said “It feels fantastic to have completed the challenge. There was no real drama, people were affected by the altitude in different ways but we all reached the top”. This entry was posted in Altitude, Consultancy, Expeditions, Para-Monte, Safety by Neil Maxwell. Bookmark the permalink.